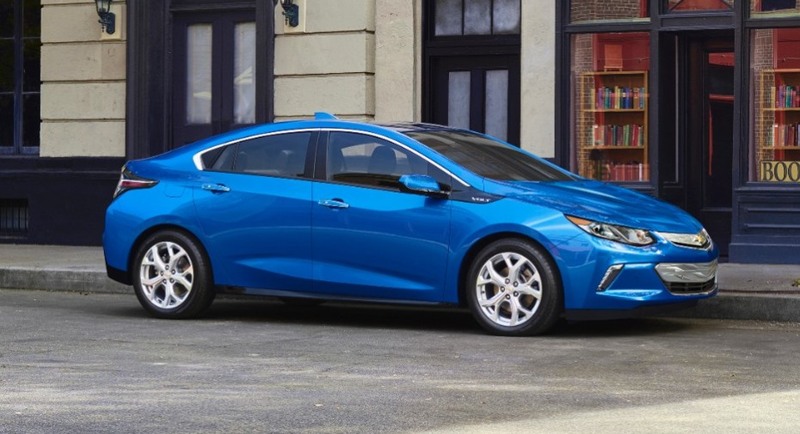 Looks like Chevrolet has edged out the competition with its latest green creation, the 2016 Volt, an electric vehicle plug-in hybrid featuring enhanced innovation on a surprisingly budget-friendly price. Expected to arrive at Chevy dealers in early January, the 2016 Volt starts at $33,995. Since it combines both EV and plug-in technologies, it is eligible for the full federal tax credit of $7,500 and generally qualifies for most of the highest state-level incentives. Your local Chevy dealers will know which incentives your 2016 Volt purchase qualifies for and will factor those credits into the final price of your new 2016 Chevy Volt. 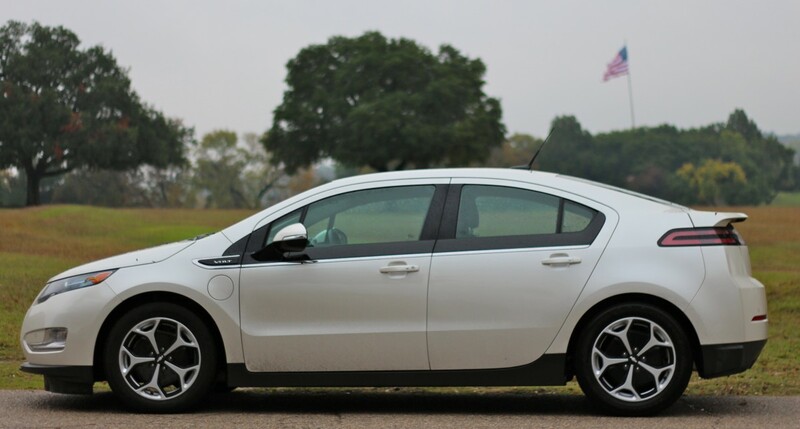 Isn’t it time for you to find out why the Chevy Volt is the number one selling plug-in vehicle? The first generation Chevy Volt debuted in 2010, released for sale in the 2011 model year. Though it sold modestly well and its performance exceed expectations, the second generation of Volts, beginning with the upcoming 2016 model promises to be even more impressive with considerable upgrades. More tech-savvy than its predecessors, this next generation of Volts can cover more distance between gas fill ups, boasting the greatest driving range on the EV/plug-in market at the most affordable price. Able to travel a maximum of 50 miles from a single electric charge, thanks to its 18.4 kWh battery, before it needs to switch over to gas power, the 2016 Volt marks a 31 percent improvement in range over the earlier models. The GPS location-based system installed in the 2016 Chevy Volt allows the battery to recharge more efficiently. So, if the car is parked in the garage at home, the battery will potentially charge only during off-peak rates, when utility costs are slightly lower, saving the owner a few extra bucks. How cool and helpful is that? Given that most Volt drivers prefer not to use the fuel reserve at all, GM estimates that ninety percent of all trips in the 2016 Volt will be completely powered by electricity. Able to get 102 MPGe (MPGe stands for Mile Per Gallon Equivalent, meaning the measure of the distance an electric car is able to travel electrically on the same amount of energy offered by one gallon of gasoline), and 41 combined mpg, the 2016 Volt features significant improvement over the first generation, whose fuel economy topped out at 37 mpg. The total range of the 2016 Volt surpasses the original 360 miles of the 2015 Volt to reach a new record 420 miles. Thanks to technological innovations, the energy density of the batter increases by seven percent, while the weight of the battery pack drops twenty-one pounds. This helps improve acceleration by half a second, allowing the 2016 Volt to move from zero to sixty mph in 8.4 seconds. While the first generation Volts were equipped with a 1.4-liter engine, capable of producing 83 horsepower, the new generation, starting with the 2016 Volt, comes standard with a 1.5-liter, four-cylinder engine. An additional range extender offers 101 horsepower. 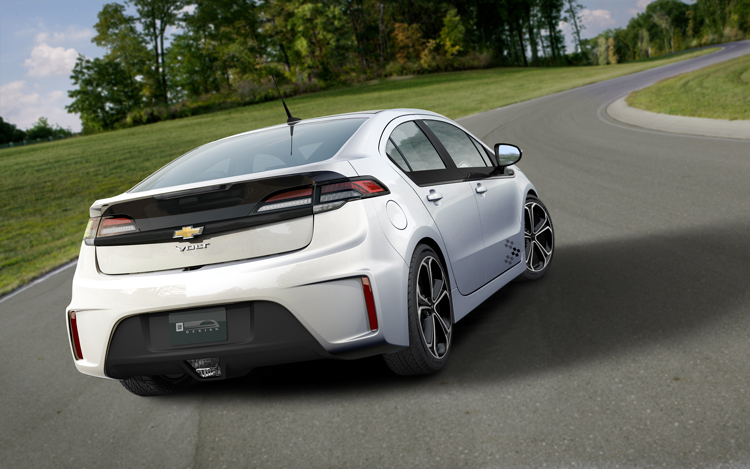 Combined, the new Volt can produce nearly 150 horsepower with just about 300 lb-ft. of torque. These drivetrain upgrades come with a $1,200 price decrease, which will undoubtedly please both consumers and Chevy dealers. Though not many details are known at this time, the 2016 Chevy Volt can accommodate a fifth passenger, compared to the four-seater 2015. The additional fifth seat can be found between the two in the back. Though not necessarily ideal for an adult passenger, or for longer trips, the “occasional use” extra fifth seat does make for a slightly roomier rear cabin and will be a comfortable spot for a smaller, or kid-size passenger. Although the first generation Chevy Volts used regenerative braking, the 2016 Chevy Volt sports a serious improvement in its regenerative braking system. Now the driver is able to control when the regenerative braking kicks in, a system known as Regen on Demand, first found in the pricier $76,000 Cadillac ELR. By using the integrated paddle shifters, a driver can determine when to use the regenerative braking and to what extent, thereby recycling the energy more effectively. For city driving, you can opt for more aggressive regenerative braking, creating a “one-pedal” commute; whereas highway driving requires less regenerative braking due to fewer stops. This makes the 2016 Chevy Volt a more energy-efficient and engaging vehicle, giving the driver more control and resulting in an even more beneficial environmental impact. Using the latest in safety technology, the 2016 Chevy Volt offers plenty of cutting-edge active and passive safety features, including: Lane Keep Assist, Rear Cross Traffic Alerts, Forward Safety Awareness, ten airbags throughout are supported by a lightweight frame, and OnStar On-Site Safety is also available. Sporting a smoother, more rounded exterior, the 2016 Chevy Volt is available in an exciting seven-color palette: Heather Grey Metallic, Siren Red Tintcoat, Mosaic Black Metallic, Silver Ice Metallic, Kinetic Blue Metallic, Iridescent Pearl Metallic, and Summit White. Two trim level options, the LT or LTZ feature cloth or leather interiors and are equipped with 17-inch aluminium wheels. For 2016 Chevy Volt drivers in California, the state boasting the highest Volt sales, the car has just been granted green-sticker carpool lane access. This means that drivers are permitted, provided they have the green sticker on their windshields, to drive in the HOV, or carpool lane, skirting past the infamous Cali-congestion on the highways. This is a tried and true incentive to get California drivers to buy electric and alternative fuel vehicles and it works. Well, there really isn’t any at this point. Those that are set to compete against the 2016 Chevy Volt only offer more when it comes to “range anxiety” and sticker shock. The 2016 Ford Fusion Energi only gets 19 miles of electric range and costs $33,900 before incentives. So, less bang for more buck. Nissan’s Leaf currently gets 84 miles total range, compared to the Volt’s 420. Serious difference for a similar price point. A 2016 Leaf is expected to be released sometime after the Volt, but range and projected MSRP have yet to be announced. Now, Tesla’s Model S guarantees more than 200 miles of range, but at $75,000 before incentives, packs a walloping price punch. 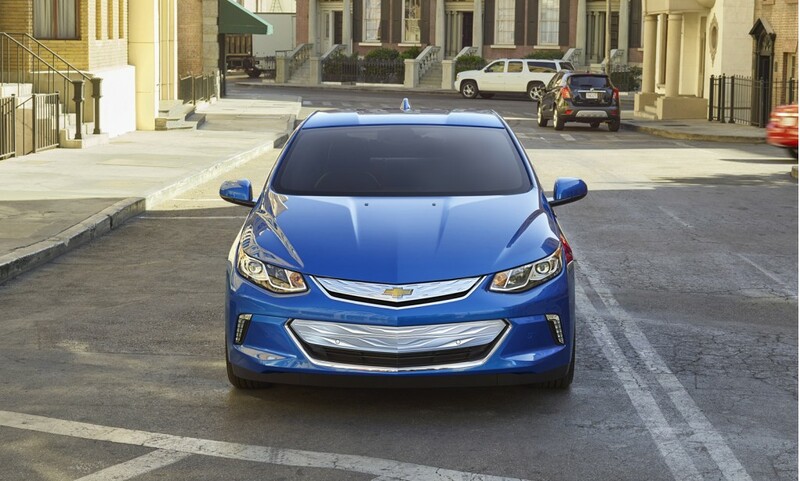 Starting next week, prospective Chevy Volt buyers can scope out the 2016 Chevy Volt in action by attending a showing of the Disney science-fiction feature film, Tomorrowland, about a mission to explore an enigmatic location stuck between time and space. The 2016 Chevy Volt might not be stuck in another dimension, but it certainly is ahead of its time. If you’d like to embark on a mission of your own, make an appointment with any of your local Chevy dealers to come in and see the 2016 Chevy Volt as soon as it hits the sales floors this coming January.